Tampon v Mooncup: which team are you on? Mooncup aims to raise its profile with its most recent ad: a rap battle with team Tampon. Staged in what looks and sounds like the women’s toilets in a club, the rap battle pitches team Tampon against the Mooncup crew. In the video, the Mooncup crew hails its environmentally-friendly credentials and highlights the waste generated by tampon and pad use. As they say, “It takes 22 of you [tampons and pads] to do the same thing that one of us can do”. If you’re on team Tampon because you’ve never heard of Mooncup or menstrual cups in general, you’re not alone. So what is a Mooncup? A Mooncup is a reusable menstrual cup that collects fluid, rather than absorbs it. Established in 2002, Mooncup Ltd has ‘a mission to make women’s experience of menstruation more positive, healthy and eco-friendly’. Mooncups are designed as an alternative to tampons and pads and to be used for many years and hardly ever need replacing. And each Mooncup is designed to hold up to three times the amount of a super tampon. They are made from soft medical grade silicone, are latex-free and contain ‘no dyes, toxins or bleaches’. Nor can anything be left behind after use, such as fibres. ‘One woman uses us to 22 items of sanitary protection every period,’ which adds up to more than ‘11,000 tampons or pads’ in a lifetime. Medical-grade silicone is ‘specially designed not to support the growth of bacteria’, which is why the Mooncup only needs to be wiped or rinsed after being emptied and is then ready to be reinserted. As part of its mission to make menstruation a more positive experience for women, Mooncup Ltd runs an Advice Centre and research programme on menstrual health. Nurses with nearly 40 years of combined experience staff the Advice Centre and use their experience, plus on-going research, to further education about an under-discussed subject that affects half the world’s population. 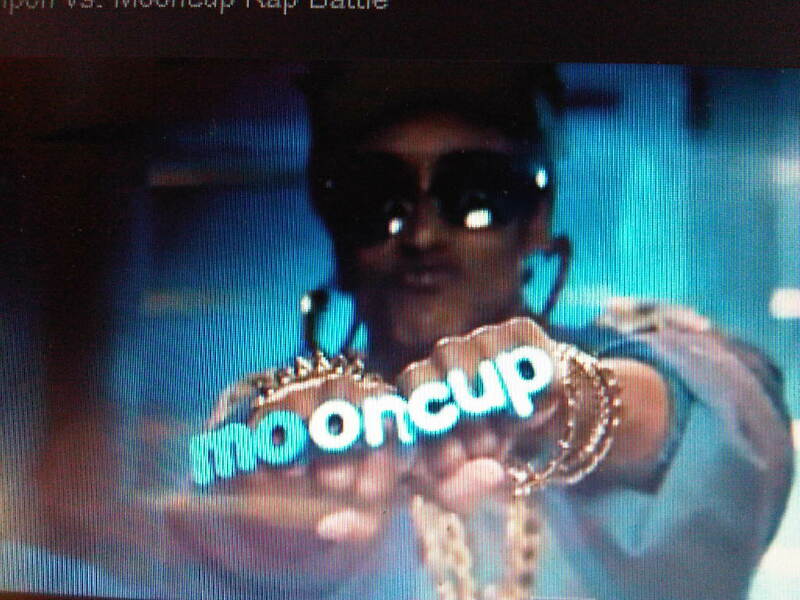 Did not get on with tampons at all, but I’ve had a mooncup (the same one, in fact) since about 2004. Bloody marvelous invention. Only downside is the ick factor, if you don’t like getting menstrual blood on your hands, but no worse than tampons.